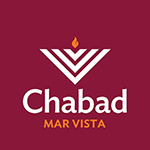 Services at Chabad are open to everyone regardless of their background or affiliation. Children, adults, singles, couples, young and old feel at home. It is just a great place to pray, be inspired and meet new friends. At Chabad, we believe that no one should have to pay a membership fee, be registered as a member or pay for a seat, to be able to walk in and sit down in the Synagogue or participate in Jewish life. Our synagogue is not a club! At our open Synagogue anyone can just walk in, sit down and enjoy a warm and inspiring service. Recognizing that our children are our future, we always encourage children of all ages to join our services.